Each painting I create is a reflection of what I love or where I long to be. In a world of growing uncertainty, it is important for me to provide the viewer a momentary escape from reality. I welcome you into my exciting world of color and light. Professional Artist for Special Events! Looking for interactive entertainment for your business, meetings, or conventions which would be interesting to your guests? 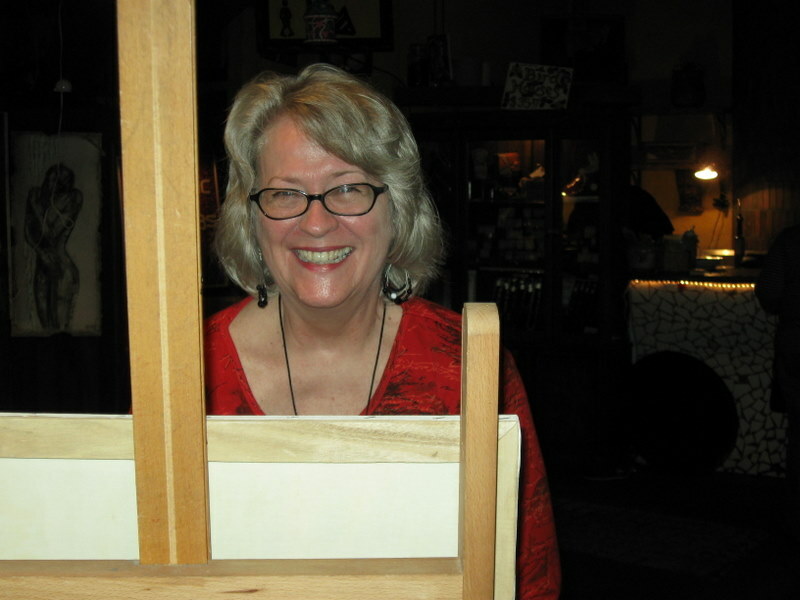 I have had many years of experience doing oil painting demonstrations for groups, trade shows, special events, musical performances, wine tasting evenings, etc. and would be a unique addition to your next gathering. I have painted for such organizations as Hello Florida, the Marriott World Center, the Hilton Grand Vacation Resort, Café Tu Tu Tango (now going into my 9th year), Robb and Stucky Furniture Gallery, Summer Jazz Series at Dubsdread Country Club, Burdine’s Furniture Gallery, Metro Espresso Café, Art Angels Market, and many more. I love to interact with the public while I paint and answer their questions while “creating”. My work is a variation on French Impressionism which I tailored to develop my own style. It is in good taste for all ages to enjoy – lots of color and light. Your site is really neat. I hope it brings you all kinds of business. You deserve it. Thanks, Linda, glad you like it! Tell your friends, ha! My, My, this is really a good looking site—now the Europeans iwl come to you!! 🙂 Hope this gets you of and running harder!! What a beautiful site, Sandy! You are truly my favorite Artist and friend .. Went through the whole website. It is spectacular. Lots more paintings since we our “babies” were little. I ordered the book from Barnes-and-Noble (because I have a nook). It sounds like it was an amazing trip. It brought back memories of when Bill and I went to California. Hope to see you soon.